As a member of the Investment Strategy Committee, Deeds supports the firm’s overall investment process through security selection and asset allocation research. Additionally, he is responsible for the administration and implementation of investment strategies in individual accounts. 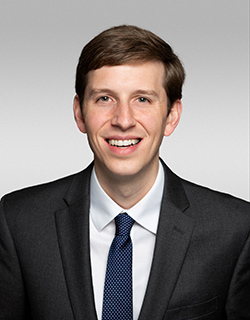 Prior to his current role, Deeds was assistant vice president at Boyd Watterson Asset Management where he worked in various capacities at the firm, including portfolio manager and credit research analyst. He began his career as an analyst at Tobin & Company Investment Banking Group LLC and has been in the financial services industry since 2011. Deeds received a Bachelor of Science degree in psychology from Clemson University and a Master of Science degree in economics with a concentration in financial management from the University of North Carolina at Charlotte. He is a member of the CFA Society of North Carolina and has earned the designation of Chartered Financial Analyst.